We are very happy that Dan Maloney is open for business at Blades of Steel, Unit 10, 1121 12th St., Kamloops, BC. Phone number 250-572-6587. Dan and his family made the trip this summer to Harrow so Dan could be trained by Bob as a Maximum Edge Member. Bob said Dan was a quick learner and asked all the right questions. 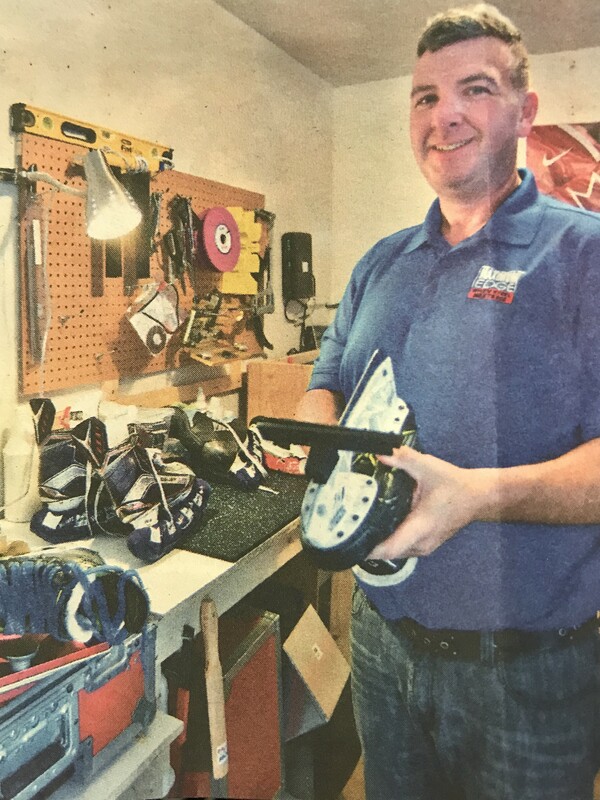 Dan is trained in the patented Maximum Edge finishing process for the sharpening of skates blades and will provide his customers the best sharpening available. Dan we wish you good luck with your business and hopefully Bob and I will see you next year when I book that Rocky Mountaineer train trip.